No Rain and Great Learning! 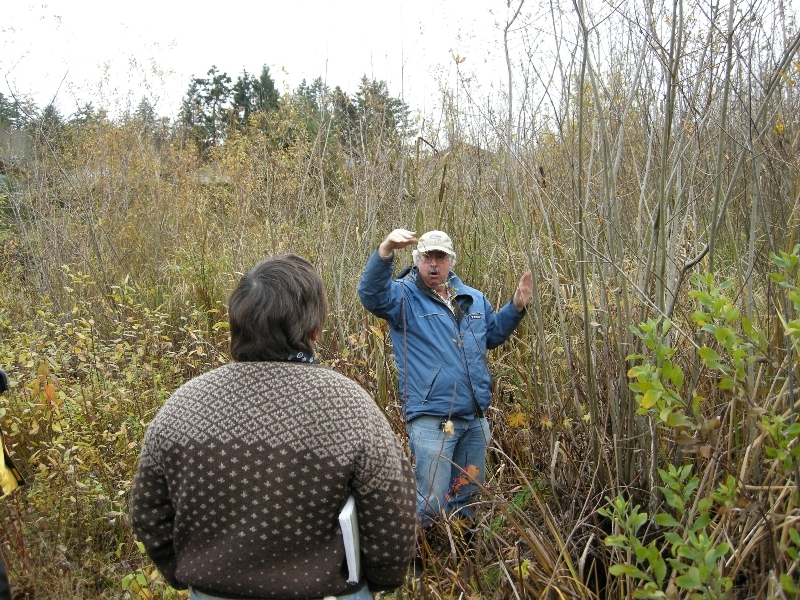 Dave Polster, Registered Biologist and riparian area expert bar none, guided a riparian area workshop and site tour for 20 enthusiastic participants on Saturday November 14. 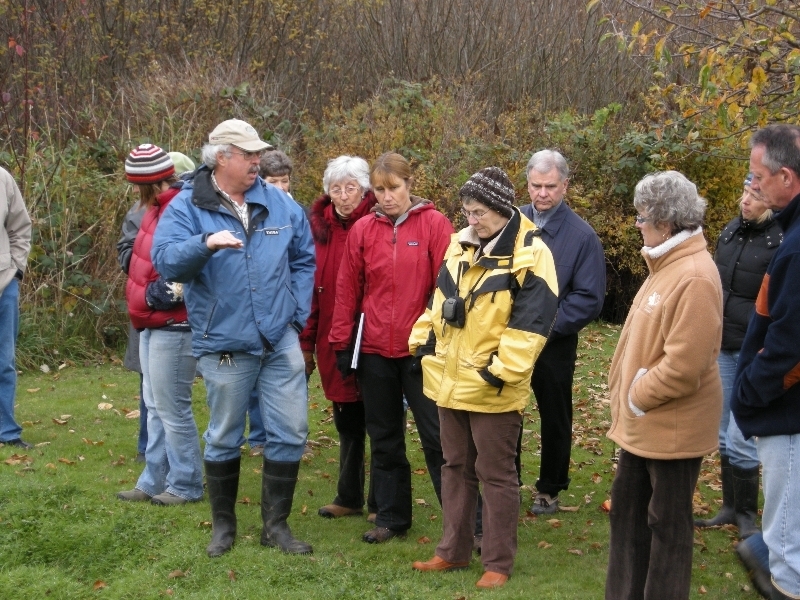 The Quamichan Stewards and Cowichan Land Trust hosted the workshop where Mr. Polster provided a morning lecture on the importance of maintaining a viable riparian area through ensuring shoreline stability. A lot of material was presented to protect gully and stream riparian areas. The group then ventured outside to clear skies where Mr. Polster provided an engaging and informative hands-on discussion on riparian area habitat and maintenance and its ultimate impact on lake health. Attendees were thrilled with the event, and amazed by Mr Polster's knowledge. One participant mentioned that "this was the best workshop for a small fee that he had ever attended and felt that all those participating would look at the waterfront from a total different perspective into the future.